Dual alphanumeric backlit white LCD display, on operator and client side. The backlight function can be removed. Thermal printer speed of 80 mm/sec for normal thermal paper or for Linerless adhesive with paper 57 mm wide, and outer diameter max. 50 mm. 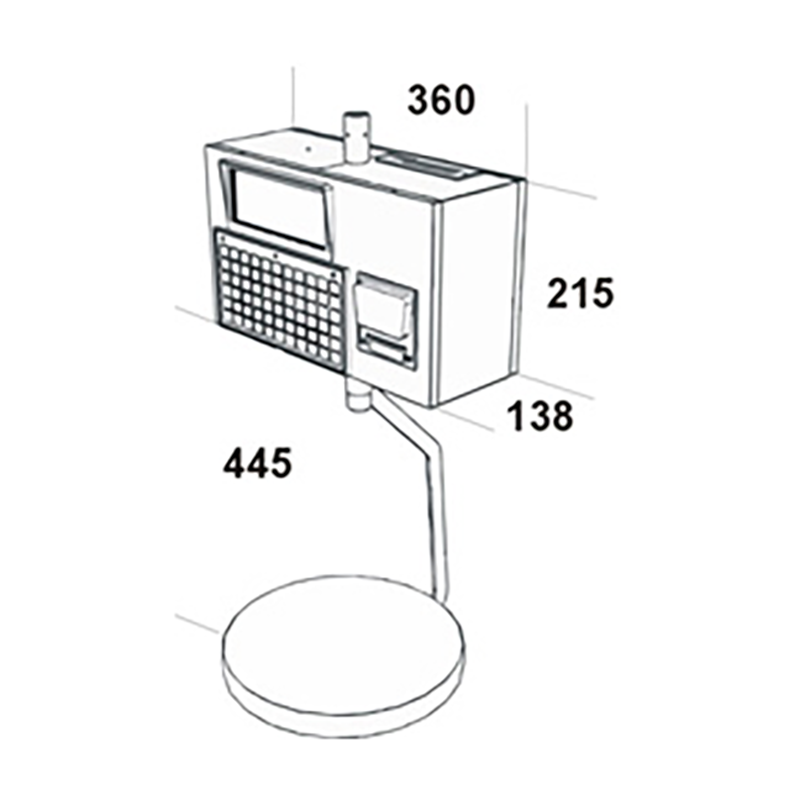 Print width of up to 48 mm. Large-sized plate in stainless steel. Power 230 Vac, with AC/DC external adapter and built-in rechargeable battery. 2 RS232 interfaces for connection to: PC, modem, scanner, Helmac cash register. RS485 for connection with up to n° 4 GPE scales in a local network. 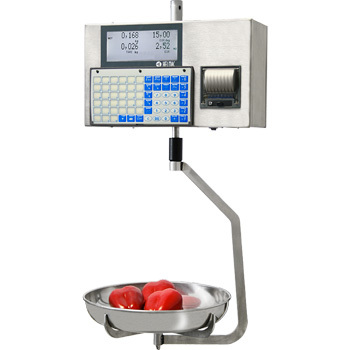 794550 GPE6 scale, 6/15kg capacity, 2/5g division, with stainless steel structure and large-sized plate, dual backlit LCD display, 66-key waterproof keyboard and thermal printer. 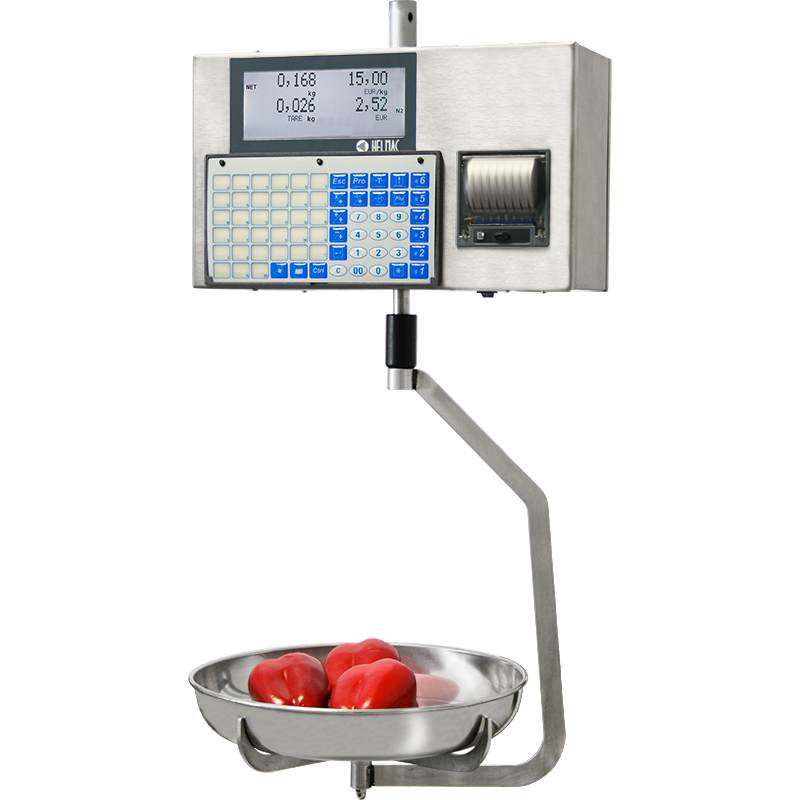 794750 GPE6 scale, 15 kg capacity, 5 g division, with stainless steel structure and large-sized plate, dual backlit LCD display, 66-key waterproof keyboard and thermal printer. 846171 Bowl-shaped pan RQ4S fitted with support, for hanging scales. 846141 Polished round bottom plate fitted with support, for hanging scale. 848596 Kit for mounting the hanging scale to ceiling.